Sometimes working as a freelance writer can be difficult because you work alone and, usually, from home, so you don’t have access to the same kinds of community or resources that you would in an office or other group work environment. If you have a question or need advice, you have turn to Google instead of your workmate. Which can be a great way to learn new things – obviously Google can provide you with a lot more information than one of your coworkers. However, the sheer amount of information on the internet can be a problem in and of itself. How do you sift through all the information provided by search engines to find the true gems? In the middle of all those competing websites, finding the best answers to your question – from grammar tips to restaurant recommendations – can be tricky. To keep yourself from second guessing or getting overwhelmed, it helps to keep a list of tried and true web resources at your disposal. It’s a good idea to collect websites and online references that you know will provide you with accurate, reliable information for each subject you write about, as well as on the writing process itself. By creating and maintaining a “Favorites” folder you will have all the information you need at the click of a mouse. Not to mention, keeping your writing resources well organized will keep you from getting distracted. We all know how a quick search can end up becoming an afternoon-long treasure hunt as you hop from link to link – which can be fun, but not if you’re working to a deadline. If you work as a freelance writer, chances are you need some help with the nitty gritty details of writing. Below I’ve collected websites and online tools that I’ve found useful in my own freelance career with the hope that they help you as well. First and foremost, writing is about choosing the right word! Sometimes we get stuck in a rut and use the same adjectives again and again. If that’s the case, bust out the thesaurus and give your writing a shake up! Or maybe there’s a word you’ve come across in your research that you don’t recognise or aren’t sure of. There’s no shame in making sure. After all, it’s better to be safe than sorry. Here are some useful dictionaries and thesauruses to help you out. For English, I prefer the Oxford English Dictionary. It’s a classic for a reason! It provides definitions, synonyms, and a sample sentence for context. On the other hand, if you’re translating something or just want to check the nuance of a certain word, try wordreference.com. Their forums also provide great in-depth discussions about all kinds of vocabulary, idioms, and expressions for Spanish, French, German, and then some. Thesauruses are a great tool to liven up your writing and, with the internet, there’s no excuse not to use them. Try thesaurus.com for starters, or use the built in thesaurus in the Oxford (for English) and Real Academia (for Spanish) online dictionaries. If you constantly misspell a certain word, check out this list of common problem words – they have quizzes and activities to help you practice. Do you ever find yourself with a word on the tip of your tongue? In that case, try this reverse dictionary. Type in the definition to find the word you’re looking for. Never again will you struggle to find that word! For the visual learners among us, here are a couple of dictionaries that might be useful. First of all, the Merriam Webster online visual dictionary, which lets you search by theme or by single word and provides an image instead of a written definition. This is great if you have to describe things like machine parts which you might be unfamiliar with. On the other hand, the Visuwords dictionary not only gives you a word’s meaning, but also creates visuals to show you how that word interacts with other words, whether as a synonym, homonym, etc, which allows you to make quick connections between related words and word groups. We all have our grammar weaknesses. Whether it’s the comma or the semi-colon, there’s always something that causes us grief. 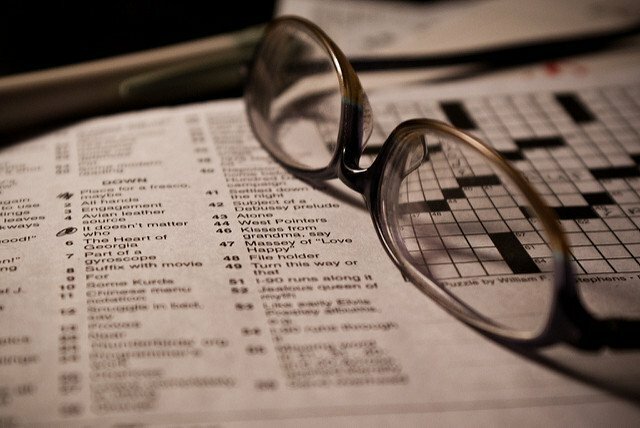 Here are some sites to help you perfect your grammar skills. For a fun, understandable English grammar reference, nothing beats Mignon Fogarty’s website Grammar Girl. For a more in depth grammar guide, check out this writing style guide. It’s given to all journalists at the prestigious magazine The Economist. It’ll give you helpful tips for everything from punctuation to how and when to use metaphors. However, if you want to get a bit more serious about your grammar, try taking Hypergrammar, an online course from the University of Ottawa’s writing centre. It’s free! Just click on the drop down menu to get started. If you’re writing in English, try a free editing app like the one at Grammarly or Grammar Check to make sure your work is absolutely perfect! Pictures are worth a thousand words, right? While your client won’t be pleased if you just send them a photo instead of the thousand word blog post they’re paying for, images do add flair to your work as well as help your readers to understand your arguments. In this page, I’ve collected several useful websites that you can use to add infographics to your writing, as well as a little bit about why (and how) you should include visual information in your texts. Even if you don’t want to go all out on an infographic, adding the odd picture here and there – especially in a longer text – can really liven things up. Here’s my list of the best sites to find free images to use in your next article! In this post I go over common problems that both native and non-natives speakers have when writing in Spanish. While Spanish spelling might be easy, the grammar and punctuation can be tricky to master, especially if you’re coming from another language. If you have trouble choosing between porqué and por que, then look no further. Among the resources fro writers, content curation tools are very important. The aim of content curation is saving time in the long run of the creation process and bringing satisfaction to the users. For that reason, it is imperative to choose a tool that will be most useful for both sides. Considering that reliability and accuracy are primary, there are a number of important features to take into consideration when choosing the best tool. ContentGems: If you are a professional content marketer, this popular software is the right choice for you. It has an easily operated platform which provides fast content search and share. ContentGemss is oriented towards the best online sources, like blogs and social media accounts. It can filter results using keywords, social signals and many more indications. You can use this tool to share commentaries and curated content to your website or other social media. For example, it is possible to quickly post content on Facebook, Twitter, LinkedIn, Google+ or your WordPress with HootSuite and Buffer tools. The cost of using the software differs depending on which option you would choose. It is free of charge, for instance if you have limited number of RSS sources, accounts and other factors in comparison to the professional or business use which are due to fees related to the time of use. As an example, the business option provides 100 interests, can monitor 10 Twitter accounts and 5,000 RSS sources, automated feeds and so forth available for 49$ per month. Juxtapost: This is a free bookmarking tool that allows neatly storing favourite stuff online. It provides a personal board where users can add any type of content by using convenient tools installed in the browser to `bookmark` content. When you come across an interesting article or image and want to add it to your Juxtapost account, you simply use the bookmark button. Also, a smart auto-description feature is available to label new items. The benefit of Juxtapost is that you can browse other members` streams to search for popular content which is particularly suitable for marketers following other members in their own industry and reposting items on each other boards. The process is rather easy through the `More like this` button` that leads you to other similar pages without leaving the page you are visiting. Exporting posts and original links is available to an Excel spreadsheet for content planning. Sharing to social network is at hand as well as directly to email addresses. Google Alerts where you can follow the mentions of the keywords you want. Visit it here. Inoreader is a tool to easily follow news related with the keywords you want. Visit it here. SmartBrief helps you to create summaries. Flipboard: Useful for collecting a large number of streams in a short time. Medium: Userful when you find something that inspires you to write. You can easily bookmark it and go to a writing interface. Unfortunately, writing isn’t just about writing. You also need to make sure your writing attracts the attention it deserves. To do to that, you will often need to drum up a bit of attention, whether through a blog or an email newsletter or another method. Check out my page on PR for tips and tricks. Furthermore, to make sure you’re getting the most out of your writing, it’s a good idea to invest in some Conversion Rate Optimization, or CRO. If you’re not sure what that is, check out my explanation here. Or, if you already know what CRO is, take a look at my advice for making it work for you! I also have a post about brainstorming tools for content writers here. I think they may be handy for companies and freelancers alike because some of them allow team work. Lastly, one interesting page to check is this Guide about how to set up portfolios, where you can follow the step by step instructions for free. Even though we all like to think of writing as a natural talent people are just “born with,” everybody needs to hone their skills, no matter how much talent they have. To be a successful writer with clients that keep coming back you have to be ready to learn, be open to criticism, and, above all, be constantly striving to do even better. Improving your writing will take time and effort, because, like any skill, if you want to be the best, you need to practice. Hopefully this page will help you do just that! Hopefully, this page has provided you with some helpful tools and maybe even a little inspiration! Keeping my online resources organized has saved me countless hours of frustration, and I hope the tools provided here will help you to write better content just as they helped me. *This page was updated 15th May 2018.